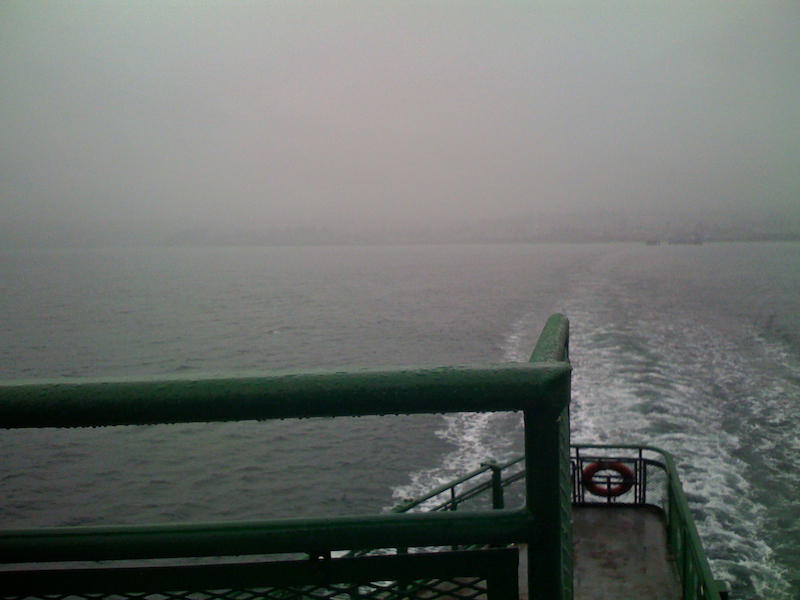 In honor of today’s drizzly weather, I present you with my vantage point off the back of a ferry on the Seattle sound. Wonderfully miserable, cold and rainy with a feint hint of horizon almost lost in the mist. Love it! I have a few others in this series that I might post up this week… we’ll see if the storm continues and my muse remains. But in the meantime, enjoy this snapshot and try to stay dry!